A bright and cheery card project from me today. This card was made very simply using a bit of stamping and a strip of Designer Series Paper - in this case the 'It's My Party' paper from the Spring/Summer Occasions Catalogue (link on the left of this page). I stamped the sentiment 'hello' from the A Dozen Thoughts set using a Stamp-a-majig - this little tool is amazing and helps you line up your stamps on your projects exactly where you want them. It is one of my favourite tools and should be in everyone's stamping kit! I think I will do a blog post soon on my must-have crafting accessories - I have published these before but it is probably about time I covered the basics again. 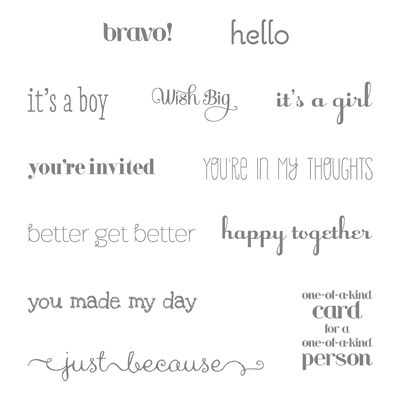 As per normal all the Stampin' Supplies you need to make this card are in the ticker below!